»: SILENCER: For applications requiring quiet operation, customs built attenuation packages can be provided on the fan inlet or outlet. attenuators are aerodynamically and are designed to significantly reduce noise while adding only minor resistance to air flow. For applications where it is important that the motor is kept out of the airstream. We offer three options in the Bifurcated range. 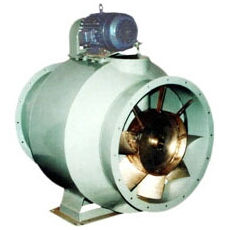 - Fans for Normal temperature (NT) – suitable for continuous temperatures up to 80 ° C.
- Fans for high temperatures (HT) – suitable for up to 150 ° C.
Our organization is very well known in the field of manufacture and supply of Bifurcated Fan to the clients. These bifurcated fans are manufactured by utilizing the services of the highly qualified engineers and cutting edge technology. Likewise, these bifurcated fans require least amount of maintenance.